Way back in February, we announced that YouView was coming to Sony BRAVIA televisions. The service went live in November and meant that Sony is the first manufacturer to partner with YouView on something like this. 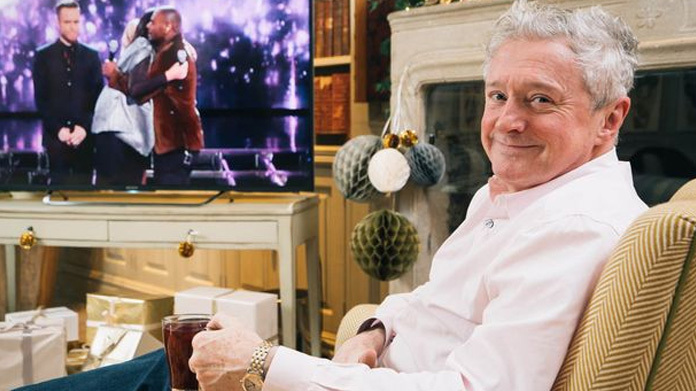 So we thought that was news worth shouting about … and who knows TV better than former X Factor judge Louis Walsh, we thought to ourselves? And given that one of the best features of YouView on Sony TVs is that you can rewind and relive great telly, we figured that had better be our creative theme for a spot of media activity. Thus, brimming with showbiz and TV gossip, Louis chatted to a pretty broad old range of media publications about what was going on in the celebrity world and what (if anything) in his life he would scroll back to and relive, whilst lounging on a comfy sofa in Soho Hotel in front of a Sony BRAVIA TV. Louis worked as a great spokesperson for the brand, openly chatting about what TV moment he would “scroll back to” as now Sony BRAVIA has built-in YouView you can actually rewind a week’s worth of TV. That all took place two days after Olly Murs fluffed his lines on the X Factor, which was conveniently timed! Alongside the Louis stuff, we did a quick survey story looking at the nation’s TV habits and TV moments they would like to rewind. The media loved Louis, with online interviews placed across the board – including METRO, Daily Record, Daily Mirror, Daily Express and Daily Mirror – and great pieces delivered across The List, New!, Reveal, OK, Now, Star magazine, Tellymix, and Woman.